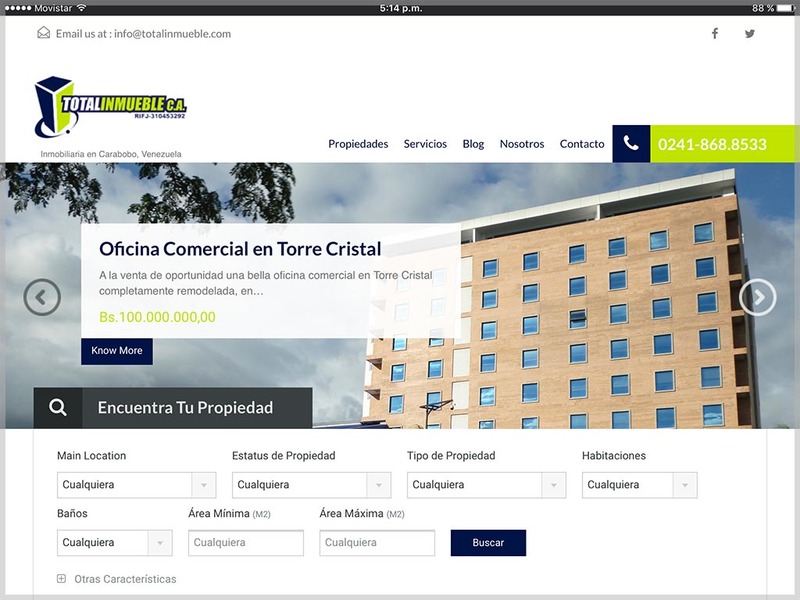 Totalinmueble is a real estate company located in Valencia, Venezuela, with more than 10 years in the market. It was necessary to update its website since the previous one practically did not allow any interaction of the visitors. The idea was, with the new format, to publish real estate offers they had available in a prominent section of the site in order to users could freely search for locations, types of properties, etc.